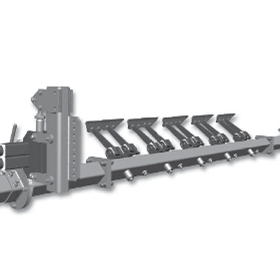 HOSCH has been developing, producing and distributing Sprung Blade Scrapers for high-precision belt cleaning applications for over 30 years now. 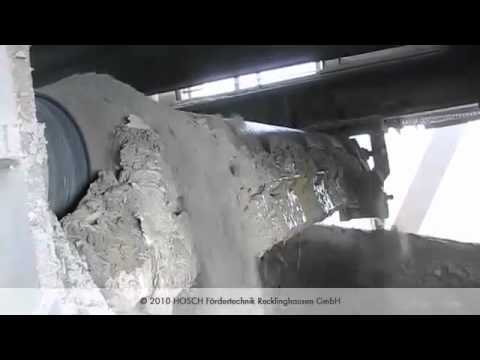 Since the foundation of HOSCH in 1975, it has always been the company's main objective to offer its customers efficient belt cleaning systems, thus enabling them to reduce cost and to improve the profitability and reliability of their operation. Along with an excellent product, Hosch offers specific service solutions to ensure the customer’s investment in our products is protected and that our products operate to their highest possible efficiency at all times. 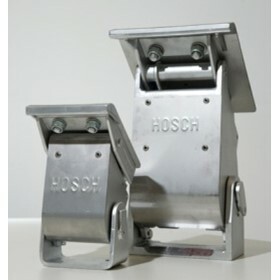 This has made Hosch a recognised partner in many industries worldwide. Our commitment to our customers is that we will continue to use our experience and technological strengths to continue what must be done…that is to provide a product and service second to none for our customers. HOSCH provides flexible and effective belt cleaning solutions by combining superior technology and high quality materials. Our sprung blade scrapers, with our patented paint scraper principle, are regarded as the best in the industry. HOSCH guarantees optimum belt cleaning resulting in substantial and proven cost savings. We provide technical support, installation and regular service for all our products with our dedicated service teams. HOSCH can take the worry out of your belt cleaning problems. 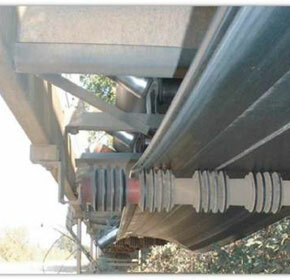 Belt mistracking is a common and costly occurance, if it is not addressed with efficient belt trackers. The level of safety has become a focal point across all mine sites today.